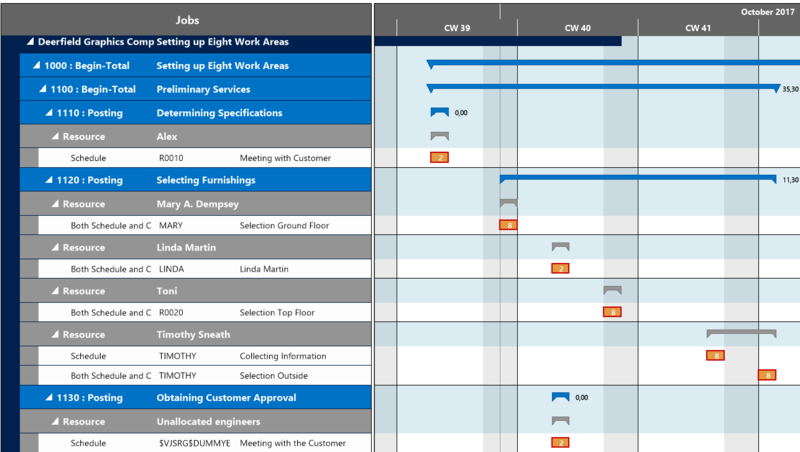 Here comes #4 of my best practice blogs on the Visal Jobs Scheduler (VJS), our Gantt chart add-in for easy visual project planning in Dynamics NAV. See today how to make your plan still more transparent by hiding certain job tasks that are not important for your current planning situation. The feature I'll describe is just a common menu item, but I feel that sometimes the more obvious things are, the most likely they will be overlooked. Perhaps you know this situation already: you want to see only tasks that are processed by a certain resource, you properly specify this resource and as a result your plan looks somewhat strange to you. After having confirmed with "OK", acitvate your filter by clicking . You see? The only resource being shown is Mary which is what we wanted, of course. 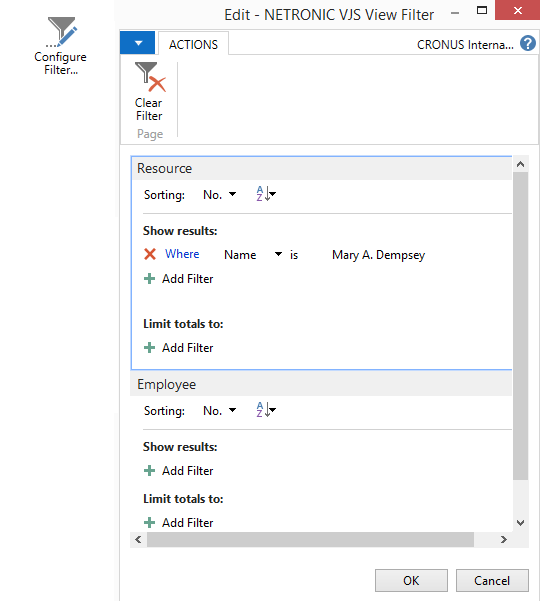 But - all tasks that don't use Mary as resource remain empty, which means that their Project Planning Lines can't be shown and hence can't be edited. The fact that the empty tasks are still visible though you can't edit them, sometimes can't be a bit disturbing, can't it? Wouldn't the plan be much neater and clearer if these empty tasks were hidden? Click this icon and you'll only see tasks which use your specified resource. Every now and then there will be situations when - for some reasons or other - you have to focus on a certain resource. A resource group manager, for instance, will mainly focus on his or her resources and hence most of the time he is interested in just a sub-part of the project. In such a case, the above described feature will be very helpful. More best practice wanted? Read about rough and fine planning jobs in the Visual Jobs Scheduler.